Within days of the terrorist attacks at the World Trade Center, scores of mental health professionals volunteered or were called into service to help the distraught families of those who perished. 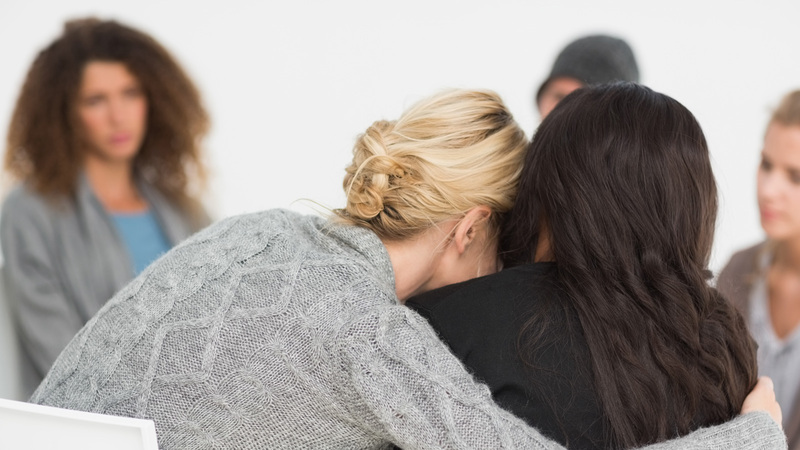 Bereavement support groups were formed to provide mourners a safe environment in which to share their grief, manage their loss, and adjust to very new and different lives. Some groups were designed to meet the specific needs of partners (including spouses, pregnant women, and fiancés), or the parents, siblings, or children of the victims. Like many of my colleagues, I volunteered at the Red Cross. My first assignment was to work with family members of employees of Cantor Fitzgerald, the investment bank that lost 658 staff members on September 11th, more than any other employer. I became co-leader of a heterogeneous support group of nine people that lasted for eight sessions, and continued to meet without a leader for several more months. After I left the group, one of its members, a woman who lost her son-in-law on 9/11, asked me if I would be interested in leading another. It was a widows’ support group that her daughter attended with seven other women, all in their thirties. Its female leader was leaving. I agreed to meet with the group in what turned out to be an unacknowledged “trial session” for all of us. After a discussion of their previous group experience, and the issue of changing from a female to a male leader, the consensus of the women was that they “felt safe” in continuing their grief work with me. One of the challenges of a bereavement support group is determining the best role for the professional entrusted with its care. The unique and horrifying event—the mass murder of 3,000 civilians—that was the backdrop in this case complicated matters. In addition, the group had not been designed for psychotherapy, as each member was already in therapy with other clinicians. The purpose the group was to facilitate the process of healing and growth. I chose to play a combined role as facilitator and guide, counselor and mental health resource, and I worked to create a safe, comfortable, open environment. I encouraged the women to express themselves freely, with the understanding that pain and anger were appropriate emotions—that grief is not an illness, but a natural response to loss. We established a few ground rules to assure that each person would have enough time to share as much or little as she wished. She would never be told what to feel or not to feel, and never be given unwanted advice. Over time, I developed the skill of knowing how and when to stay out of the way of an increasingly cohesive group. I was mindful of the possibility that some of the mourners might suffer from abnormal or pathological grief reactions, better thought of as “complicated grief reactions” or “complicated bereavement” (Worden, 1991). These include chronic, delayed, exaggerated, and masked grief reactions. The latter category is familiar to therapists with clients who present symptoms and behaviors that cause them distress and are not recognized as related to losses they have suffered. Bereavement groups have many goals and purposes that may evolve over time. The literature (Lehman, Ellard, and Wortman, 1985; Lieberman and Videka-Sherman, 1986; Schwartz-Borden, 1986; Thompson, 1996) suggests that the groups can provide a sense of belonging, fellowship, and solidarity; lead to new problem-solving ideas and the discovery of resources in the community; improve skills related to social relationships; and help members gain new hope and become less lonely and isolated. Worden’s four tasks suggest an action orientation that I found to be a useful framework for the widow’s group, as opposed to the well-known stage- or phase-schema for bereavement. These include Elisabeth Kubler-Ross’s (1969) stages of dying and Bowlby’s (1980) phases, which both seem to imply passivity and a lack of action as the mourner passes along a continuum. Worden’s approach, which is more consonant with Freud’s concept of grief work, encourages activity and implies that the process can be influenced by outside intervention, implying an active role for the participating clinician. Action can be a powerful antidote to the feelings of helplessness that most mourners experience (p.35), which can be very pronounced in cases of sudden or traumatic death. Barrett (1978) wrote about the necessity of enduring and working through grief as one way that widows are able to maintain and enhance their self-esteem. She cautioned against treatment modalities that focus primarily on the reduction of feelings of sorrow, anger, depression, guilt, and so on. Bereavement support groups, like all intervention strategies, have the potential for both positive and negative consequences. Iatrogenic effects are of particular concern with individuals who have been traumatized by tragic loss and are therefore psychologically vulnerable. Hiltz (1975) reported a “backfire” phenomenon in her early work at the Widows Consultation Center in New York, where many participants became more depressed and less able to cope as a result of their involvement in a bereavement group. The women tended to become overwhelmed by listening to the experiences and feelings of others. It is generally assumed that such individuals will terminate group participation on their own after recognizing the negative consequences of their experience. How exactly did he die? Almost every widow expressed the need to know exactly what had happened to her husband. How did he die? How much had he suffered? These questions were essentially unanswerable. Some of the women had spoken briefly with their husbands by phone right after the terrorist attacks. Others relied on hearsay to piece together the events in their minds. All of the women formed suppositions, inferences, and conjectures that led to animated and painful moments in almost every group session. Initially, my interventions were made for containment and protection purposes, to minimize the risk of retraumatization. I recommended that each woman develop and emotionally lock in a plausible scenario for her husband’s death. Though helpful, this strategy was undermined by the continuous flow of information from the Medical Examiner’s Office. Each time DNA-identified body parts and personal effects were returned, the women’s disturbing thoughts were rekindled. In one case, a woman who believed her husband had died painlessly of smoke inhalation was dismayed to read in the ME’s report that he either was incinerated or died in the tower’s collapse. Some of the widows resented having to reassure family and friends that they were okay, when in fact they were not. They felt guilty if their depressed demeanor was perceived as “clouding up the atmosphere” at family celebrations, events they attended with considerable difficulty or simply avoided altogether. In the group, we explored ways to broaden their coping repertoires. We discussed how they could express their feelings, advocate for themselves, and try to “enlighten” those who wanted to help out during this period—the most difficult in their lives. However, the women’s understanding, acceptance, and forgiveness for the thoughtlessness of others only developed gradually. A common assumption is that bereavement is a process that progresses in a sequential manner, marked by a gradual and identifiable reduction in grief and other indications of a return to normalcy. In many cases, however, indicators of progress are not reassuringly evident. The mourner may appear to be getting worse as months go by, causing needless worry by friends and family. The bereavement process may take weeks, months, or years (Osterweis, Solomon, & Green, 1984). It is not a path to “recovery,” insofar as that means a return to pre-bereavement baselines. Instead, the process leads to the mourner’s increased ability to change, adapt, and alter her self-image and role to fit a new status. Implicitly and explicitly, the major underlying theme of the group was role transition from wife to widow (Silverman, 1972), or from wife to widow to woman, as elaborated by Golan (1975). Her descriptions of the experiences of war widows in Israel bears a striking resemblance to those of the widows of 9/11. The transition and its milestones can take many forms, and cause many conflicts and dilemmas. For example, it was often harrowing for the widows to decide if they should dispose of their husbands’ clothing, or replace their voice messages on the phone, or refer to them in the past tense or the present tense. One woman felt anxious about relocating to a new house. “I thought that maybe I had to move out in order to move on,” she said. On the other hand, she worried that the move might rob her and her children of the vestiges of her husband, and that his “presence” or “aura” would remain behind, in the home they had shared. The transition from “we” to “I” (Yalom and Vinogradov, 1988) involved the contemplation of complex questions of growth, identity, and responsibility for the future—an emotional minefield. It forced repeated confrontations with the reality of their husbands’ permanent absence, and the fact that they were alone and needed to create a meaningful new social and emotional life. The tension between the widows’ need and desire for change, and their devotion to and love for their husbands, was palpable. Any change they made might represent a betrayal of the marital relationship. Any decision might become a sad reminder of the missing spouse. Our discussions of new relationships with men occurred most often when a woman sensed the interest of a male friend or acquaintance. A man’s attentions caused some women to feel flattered and intrigued, while others felt offended or exploited. Some felt the need to reassert their intention to remain loyal to their deceased spouses and to deal stoically with their celibacy. My careful forays into discussions of male companionship, and the possibility of future marriages and children, were important and timely topics for some women, premature for others. One woman sent shock waves through the group with her story of a chance encounter with a man on a ski vacation and their sexual intimacy, which had been a good experience for her. Some of the widows were impressed that she was able to enjoy herself, and that she actually felt entitled to have pleasure without guilt. Some said the story made them hopeful that one day they too might be able to enjoy a relationship with a man again. It was a moment like no other. As group leader, I felt grateful for the woman’s story, as it led to important revelations that advanced the grief work and dynamic role transitions of others. At our first meeting, the group planned to disband after 16 sessions. However, when the time came, the consensus was that the group was going too well to end just yet. In fact, the group lasted for a total of 41 months, until the middle of 2005. As a mental health professional with more than three decades of experience, I found that working with the families of 9/11 victims was one of the most challenging and meaningful experiences of my career. Barrett, C.J. (1978). “Effectiveness of Widows’ Groups in Facilitating Change.” Journal of Consulting and Clinical Psychology, 46, 20-31. Golan, N. (1975). “Wife to widow to woman.” Social Work, 20, 369-374. Hiltz, S.R. (1975). “Helping Widows: Group Discussions as a Therapeutic Technique.” The Family Coordinator, 24, 331-336. Lehman, D.R., Ellard, J.H., & Wortman, C.B. (1986). “Social Support for the Bereaved: Recipients’ and Providers’ Perspectives on What is Helpful.” Journal of Consulting and Clinical Psychology, 54, 438-446. Lindemann, E. (1944). “Symptomatology and Management of Acute Grief.” American Journal of Psychiatry, 101, 141-148. Miles, H. & Hays, D. (1975). “Widowhood.” American Journal of Nursing, 7, 280-282. Osterweis, M., Solomon, F., Green, M. (Eds.). (1984). Bereavement: Reactions, Consequences, and Care. Washington, D.C.: National Academy Press. Schwartz-Borden, G. (1986). “Grief Work: Prevention and Intervention.” Social Casework: The Journal of Contemporary Social Work, 65 , 499-505. Silverman, P. (1972). “Widowhood and Preventive Intervention.” The Family Coordinator, 21, 95-102. Thompson, S. (1996). “Living with Loss: A Bereavement Support Group.” Groupwork, 9, 5-14. Worden, J.W. (1991). Grief Counseling & Grief Therapy. New York: Springer Publishing Company. Yalom, I. & Vinogradov, S. (1988). “Bereavement Groups: Techniques and Themes.” International Journal of Group Psychotherapy, 38, 419-446.